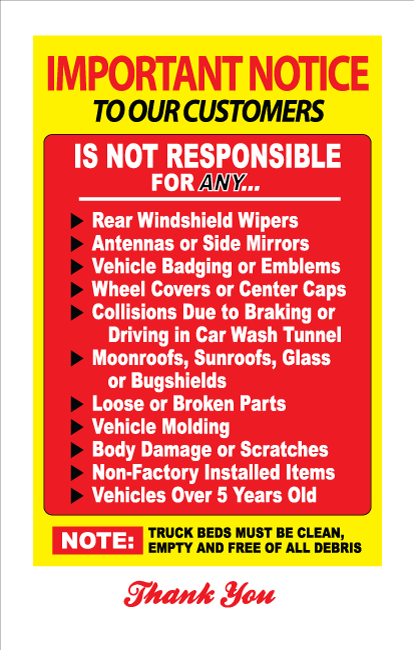 Las Vegas is riddled with cheap automatic car washes and a sign like the one posted here is not uncommon. What does it tell you when you see a sign like this one? The simple answer is: I am taking my car into a torture chamber and I should really rethink this decision. Yet many customers ignore all the warning signs and drive right in, hitting the start button without giving it much thought. Automatic car washes have a built-in problem. The brushes and bristles that are used to clean your car have been used on thousands of vehicles prior to you pulling into the wash bay. What that means is no matter how well you care for your car everyone else's dirt, grime, rocks, etc... are being rubbed on your car. 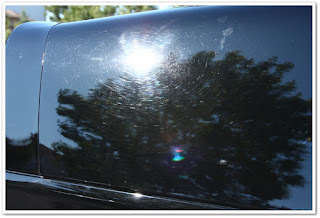 This is what causes that ugly "spider web" look on your paint. It may even cause some really isolated deep scratches, that FYI, are very difficult to fix. Here is a picture of that spider web look an automatic car wash can cause on your car. Look familiar? So you may be asking yourself what options do I have if I want to stop going to the automatic car wash? The best choice is to work with a reputable local detailer to get on a maintenance detailing schedule for your car. The most important part of your choice is being realistic about how much wear and tear your car gets on a daily basis. Talk with your detailer find something that works for you and STICK TO IT. Most of our clients are on an auto-pilot system, they have a certain day and time every week and we don't waver from the schedule. This is absolutely the only way to keep your car clean and looking its best. The other option is to clean your own car in the driveway. This is a viable option but realize a couple of things before going down this road. You will have to invest cash consistently in products and chemicals to do it right so DIY doesn't mean its free (you would be shocked how many people over the years have told us DIY means its free for them). Next, you will have to invest time in learning proper procedures to wash and clean your car properly. Again taking care of your own car is an option but realize its time consuming and you will have to invest money in products. Hopefully, this will help a little bit when trying to decide how you want to care for your car. 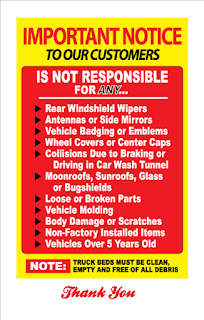 Feel free to contact me at nick@vegasrides.com if I can help answer any additional questions you may have concerning the care of your car.